This entry was posted in Downtown, Neighbourhoods, Parks and Trails, Public Art, Streets and tagged 2018, architecture, buried creek, creek, cultural history, Denison, history, Kensington Market, parks, toronto, toronto history, urban exploration, Victorian Architecture. Bookmark the permalink. Great work, Bob! 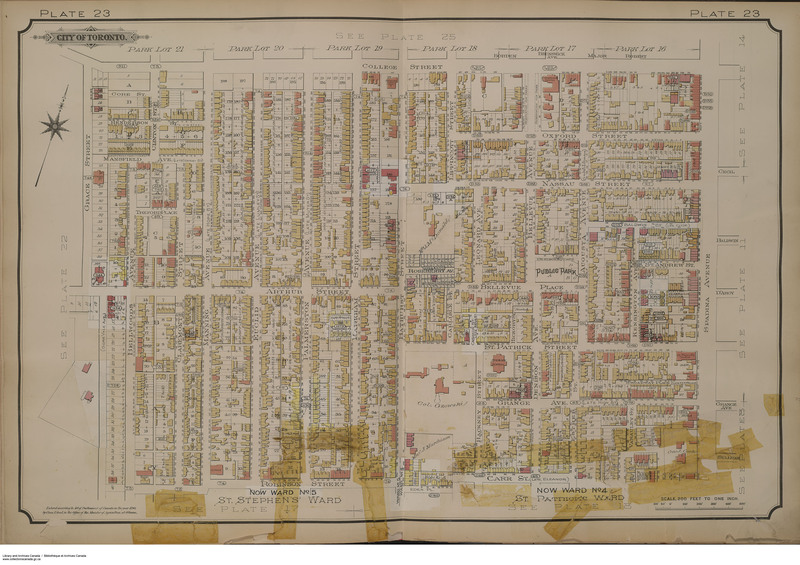 I love those old maps of the area. Thanks! They were fun to discover and look at! This was a fascinating read about the evolution of Kensington Market. In hindsight, it is a bit of a miracle that this area escaped the wrecking ball of progress in the 60s and 70s … especially given its proximity to the downtown core. This was a great piece of Toronto’s history and another reminder of this city’s hubris in burying nature’s little waterways. Definitely a lesser known secret in the evolution of Kensington area. Thanks Joanne!